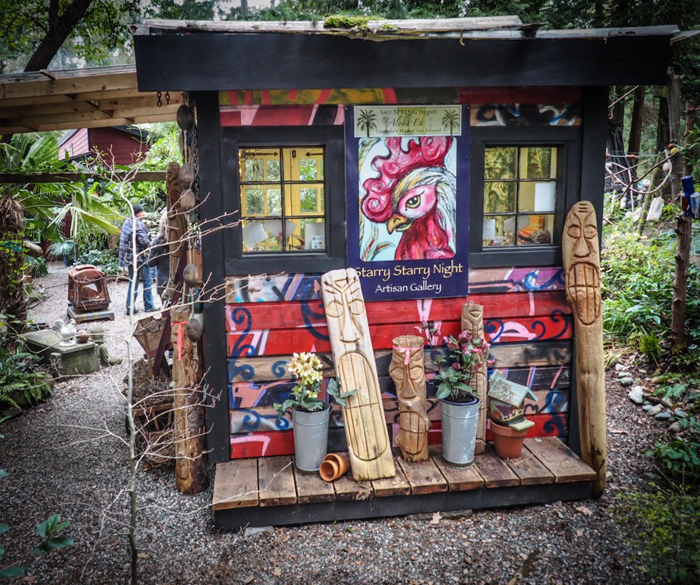 One of the she sheds on the Salt Spring She Shed Tour on June 24. Salt Spring is getting ready for another “first,” with the She Shed Tour ready to roll on Sunday, June 24. Susan Wetmore is one of the organizers of the inaugural event. She searched high and low but could not find an example of a she shed tour held anywhere else in the world, so concludes this must be an original undertaking. The self-guided tour, running from 10 a.m. to 4 p.m., includes 14 different properties where visitors will be greeted by the creative women behind the structures. The tour idea arose from a conversation Wetmore had with Adina Hildebrandt of Salt Spring Books. Talking about some she-shed books in the store, Wetmore said they thought it would be great to organize a fundraiser that celebrates the she shed and the women who have created and use them. “The concept of the she shed is very popular,” Wetmore said. She sheds are spaces where women can get away from the demands of daily life. Some are used for meditation, writing, entertaining, quiet reading or arts and crafts activities, and for the June 24 tour, welding and blacksmithing are also included. “The tour is very fitting for an island with lots of creative energy,” she said. Wetmore hopes other women will be excited by the spaces they visit on June 24 and be motivated to make their own. Men and children are also welcome on the tour, of course. SWOVA will benefit from funds raised. SWOVA is a 22-year-old non-profit society whose education programs and research activities promote healthy and non-violent relationships with a focus on youth empowerment. Tickets with maps are available at Salt Spring Books. People with questions can send an email to ssiSheSheds@gmail.com.